Inchol builds the bridge to your success! allowing their businesses to soar. By removing the industies need for paper registration forms, result sheets and printed scoresheets; we have saved a ton of paper! when submitted the traditional way. That's over 5 M sheets of paper saved! Thats a lot of trees saved! tree can produce 10,000 to 20,000 sheets of paper. extraordinary value for brands through innovative design by connecting you with your customers in many new ways. Our products are on the cutting edge and designed to fit event producers in a variety of formats. Our flexible settings and customizable forms and reports allows you do to everything you need right out of the box. 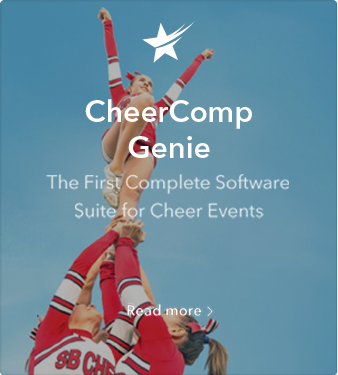 Inchol Soltions hosts DanceComp Genie and CheerComp Genie, the leading software suites for the dance and cheer event industry. We are experts when it comes to customize software suites for event producers and know the needs of you and your customers better than anyone. Our custom suites extend beyond registration, scheduling and tabulation portals and will support your entire business. From staff and travel scheduling to financial reporting. By reading the reviews and testimonials from our clients, you will understand how committed we are to providing exceptional customer service. We employ a full team of support specialists and gaurantee a 5-minute response to your questions via our Chat support system. Rest easy knowing we are always standing-by to assist you. With over 30 years of experience in the competition industry we understand the needs of the Directors and Instructors as well as what it takes for us to manage a company in the competition industry. When looking for a detailed system that is client friendly and customized to our needs; DanceComp Genie and Inchol Solutions was the answer. We know our clients expect a high quality level at our competition and DanceComp Genie and Inchol Solutions parallel the same high quality. We have been very pleased with DanceComp Genie from the start, the customer service they offer is top notch, they are quick to reply and are always helpful even when you are in a panic they help you to feel at ease. This system has enabled us to grow, adapt, and make improvements keeping our customers happy. 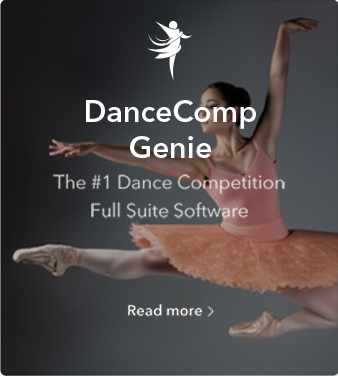 DanceComp Genie has made our registration so much easier. From being able to take registrations 24/7 and being able to monitor the registrations with its fantastic features, it has eliminated us having to chase payments, no more paper entries, no more mistakes in registrations. Even if you are not computer tech savvy, they have been able to talk you through any issue that has been corrected..
Got a Spectacular Idea for Your Business? Contact us Today. We stand proudly behind our products and commitment to our clients. If you have any suggestions or concerns and wish to speak with us please let us know right away. We are always happy to assist.